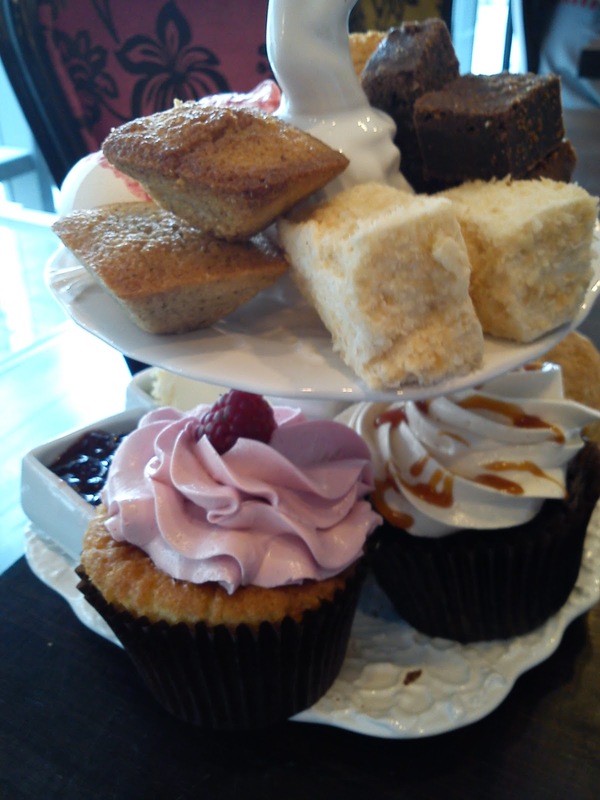 One of my favourite activities to do in London/Britain is the afternoon tea. I'm not doing it often, so whenever I go out for tea it is a rather special event. Look at all those treats!! The cupcakes where amazing. One was vanilla base with raspberry cream, the other was chocolate base with peanut butter cream and caramel sauce. Both were fantastic! The squares you can see on the top left were some kind of nutty cake, the white squares were marshmallows with coconut flakes. In the top back are some fudge squares: chocolate, chocolate-nuts, and vanilla. Also in the back (you can catch a glimpse of them on the left) some mini meringues with raspberry sauce. On the bottom back are some scones with clotted cream and jam. I love the clotted cream. 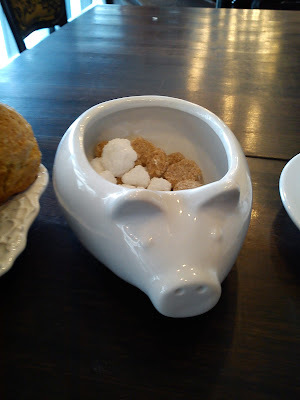 Little pig sugar cup. Isn't it cute? Even the sandwiches were amazing. 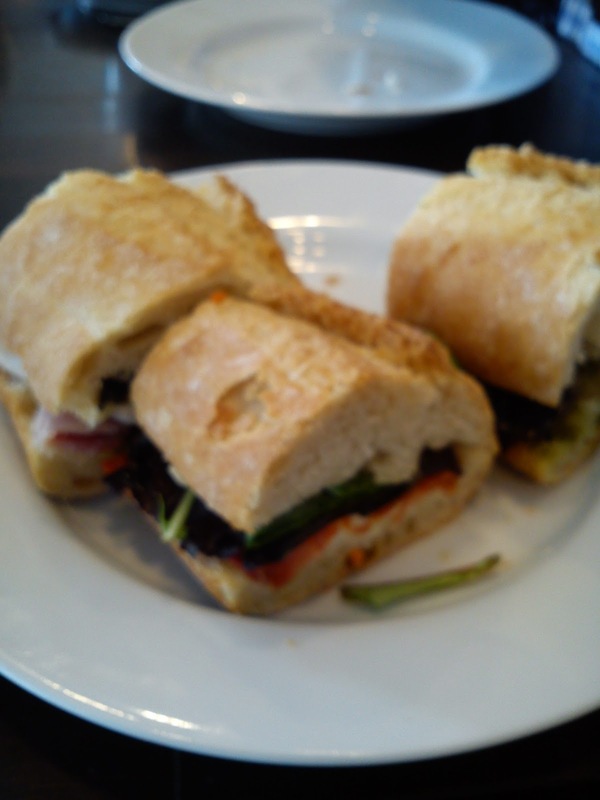 Cabiatta bread, one filled with mozarella and pesto, the other with ham, rocket and mustard.